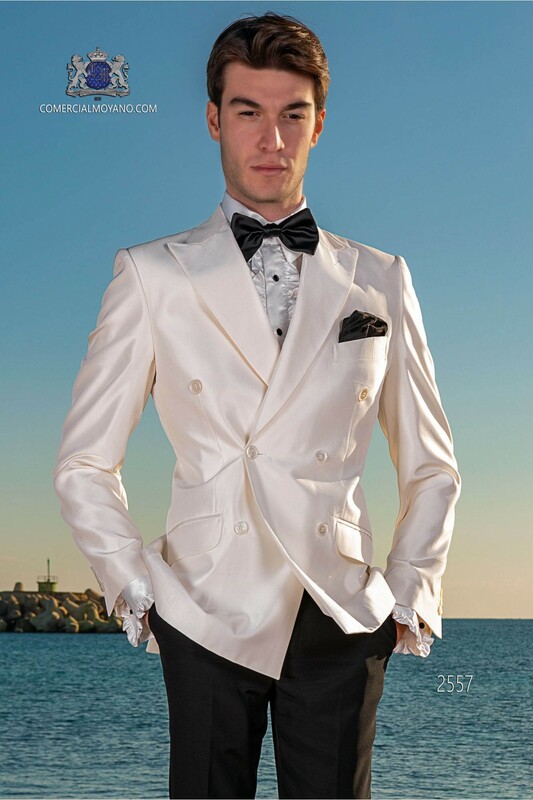 Bespoke white shantung double breasted dinner jacket Ottavio Nuccio. Bespoke natural white shantung silk double breasted jacket combined with a black cool wool trousers. 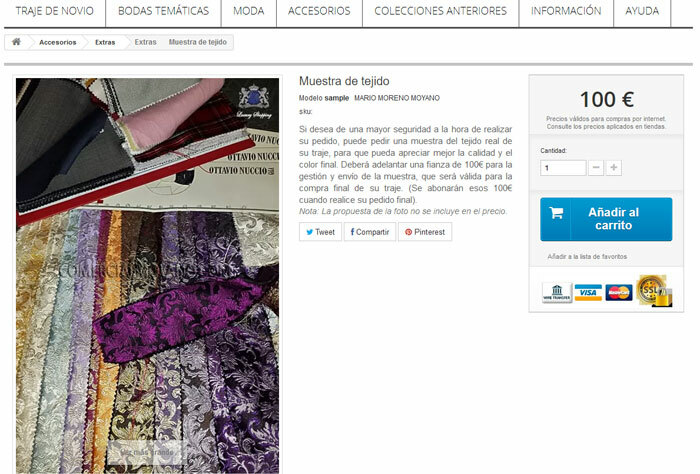 Tuxedo Wedding Suit 2557 Fashion color Collection Ottavio Nuccio Gala. Carlos Hernández (24/02/2017): Bespoke white shantung double breasted jacket - Muchas gracias por todo! El traje me sienta perfecto! 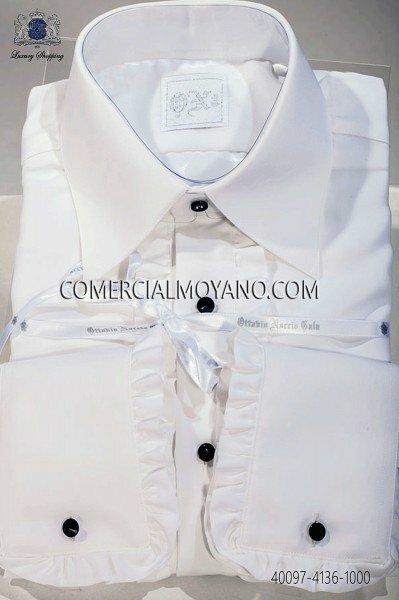 Jorge Cardenas (14/06/2016): Bespoke white shantung double breasted jacket - Tienda muy recomendable, gran trato y servicio. Paul Beckett (17/05/2016): Bespoke white shantung double breasted jacket - Good service, thanks for all! 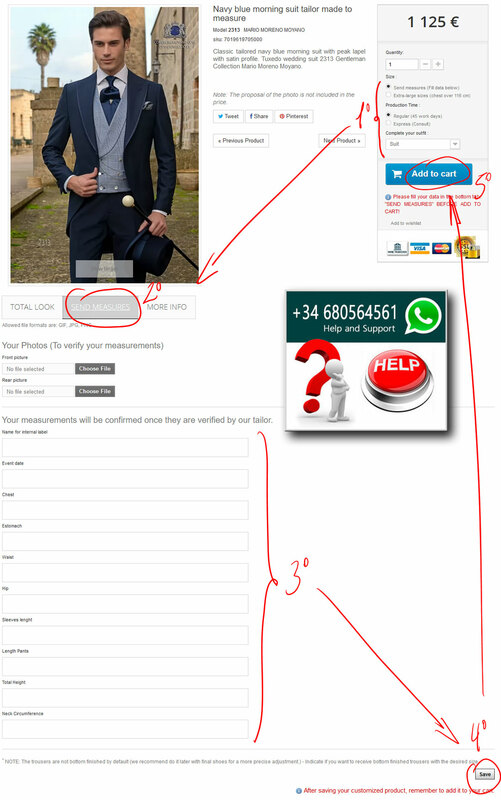 Wilhelm Günther (08/12/2015): Bespoke white shantung double breasted jacket - Bestellung ohne Probleme geliefert, alles ok danke! Pierre Babonneau (05/06/2015): Bespoke white shantung double breasted jacket - Je l'aime !! Bespoke natural white shantung silk double breasted jacket with peak lapels and 6 mother-of-pearl buttons combined with a black cool wool trousers. 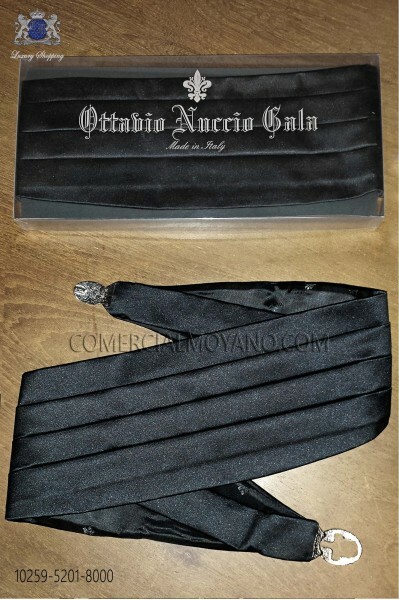 Tuxedo Wedding Suit 2557 Fashion color Collection Ottavio Nuccio Gala.